the concern. | through the eyes of a ptarmigan. 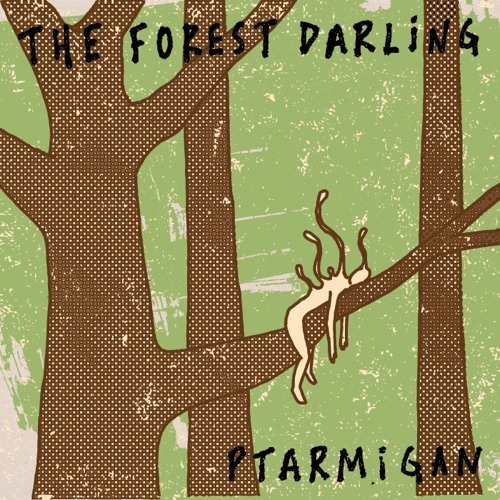 Columbia, Missouri’s Ptarmigan return with their sophomore release, “The Forest Darling”, the follow-up to 2009’s “Our Ancient Friends”. Where Ptarmigan used to rely on high/low tempo changes to create tension before unleashing an explosion of pop melodies, they’ve evolved to focusing more on harmonizing the voices of their songwriters, Evan Walton (guitar) and Peter Marting (bass). This album is a definite maturation for the band, whose ambition has never been in question. And maturation in the best sense, they resisted the urge of so many others that confused progress with adding more instruments and band members, and claiming Loretta Lynn and Woody Guthrie as their main influences. They push through the limitations that restrain a 3-person pop band to maximize a warmer and lush sound, telling stories of loneliness and longing. “The Forest Darling” features split-songwriting duties between Walton and Marting. The album combines Walton’s songs of the inability to connect to people and isolation, with Marting’s rich, romantic imagery of a longing to connect with nature and the harmony it entails. “There’s no need cause nothings moving, I’m at a loss, I’m at a loss. I move a little bit closer to the delta, so far from view, so far from you” writes Walton in “Delta”, whose falsetto and fuzzy wall of sound feels like a song from “Loveless” before morphing into a 50s folk tune: a sign of welcome release, for as much as he wishes to connect, the songs always get happier when he’s no longer able to – the pressure’s off. Their song topics are backed by an effortless shifting of styles and genres that could only work with Marting’s unbelievable range on bass and Ted Carstensen’s confident, steady drumming. “The Forest Darling” is what happens when a band is not afraid to entertain the epic. The exciting thing is that might just be what they are most comfortable doing. The music on Our Ancient Friends sees influences from bands such as Grizzly Bear and “This is a Long Drive With Nothing To Think About”-era Modest Mouse. The album features inspired drumming from Carstensen, best documented on songs “Hydroelectric Power Commission: Fear Holds Us Back” and “Thylacine”. The album was recorded in Columbia, MO at Centro Cellar Studios with Wil Reeves – a musician in bands: Bochman, Cabin Sessions and Penny Marvel. 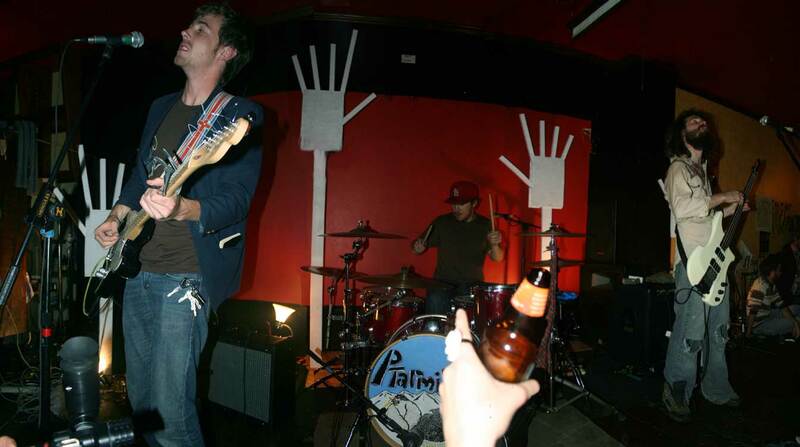 Ptarmigan is a modern band of the powerfolk ambioPop genre formed in Columbia, Missouri in 2007. Evan Walton, Peter Marting, and Ted Carstensen create intricate, powerful explosions from simple folk roots and catchy melodies over levels of ambiance. Their debut album “Our Ancient Friends” was released on April 18, 2009.